To Cite: Rahdar M, Sadat Roointan E, Vazirianzadeh B, Alborzi A. Study of Internal Parasites of Rodents in Ahvaz, South-West of Iran, Jundishapur J Health Sci. 2017 ; 9(1):e29067. doi: 10.17795/jjhs-29067. Background: Rodents are the largest group of mammalian species with a world-wide distribution. They play an important role in transport of several pathogenic agents to human. Continuous traffic between indoors and outdoors results in the presence of high internal parasitic infection among rodents. More than 200 zoonotic diseases have been identified. Among these zoonotic diseases, parasitic infections have been considered by many investigators. Objectives: This study was carried out to identify internal parasites in rodents and their probable role in the transport of zoonotic parasitic diseases in the human community. Methods: Thirty rodents including Mus musculus, Rattus norvegicus and Tatera indica were captured by rat live traps from different parts of Ahvaz southwest of Iran. A parasitic sample was collected from gastrointestinal tracts, blood, muscles and brains. Giemsa staining and merthiolate iodine formaldehyde (MIF) method were done for tissue and feces samples, respectively. Results: All studied rodents were infected at least by one parasite. 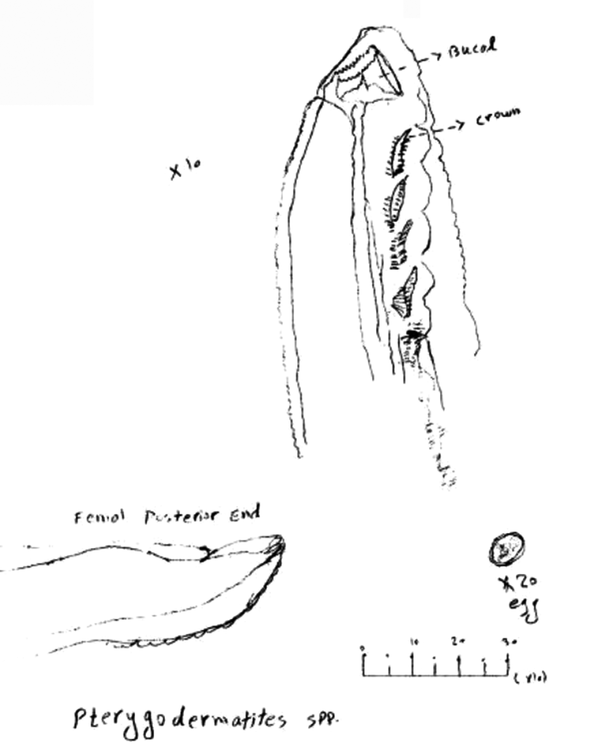 The collected parasites included: three species of Cestodes, eight species of nematodes, one species of Acanthocephala and three genera of protozoan parasites. Hymenolepis nana and Strongyloides ratti were predominant parasites in the studied rodents. Conclusions: Rodents play an important role in the transfer of zoonotic parasite diseases, especially those that live near human habitats. Control of rodent population in the city should be considered to decrease risk of transmission. Rodents are the largest species of mammals with worldwide distribution. Muridae are the most important families among rodents. There are more than 1700 identified species in this family, which include more than 42% of all mammalian species (1). Family of Muridae is classified to five subfamilies: 1) Murinae, including: rats and mice, and 2) Gerbillinae, including Gerbils, Deomyinae, Leimacomyinae and Otomyinae. Three most common species of Murinae subfamily are recognized as pests, which live very close to human habitats. They include Norway rat (Rattus norvegicus Berk, 1769), the roof rat (Rattus rattus Linnaeus, 1758) and the common house mouse (Mus musculus Linnaeus, 1758), and the most frequent gerbils are the Indian gerbil (Tatera indica Hardwicke, 1807). Rodents are very important from the point of view of disease and economic losses. They damage equipment, buildings and installations, and cause a nuisance and food contamination. Annually, millions of dollars of economic losses are caused by these organisms. They are considered as vectors or reservoirs of 200 diseases, which can be transmitted to human and other animals, including parasitic, bacterial, viral and fungal agents. They transfer diseases by contaminating food and water by their fur, urine and feces (2-4). They are highly adapted to live in various habitats including wet and dry environments such as residential houses and areas, sewage, trees and deserts (5). Another biologic character of rodents is having high reproduction potential. Daily, approximately four million rodents are born in developing countries, which lead to genetic polymorphism and resistance to different groups of rodenticides. Furthermore, they are easily infected by several live parasitic agents, because of their life styles, habitats and life as close communities. Therefore, they can be major sources of infectious agents for humans (6, 7). Important parasitic zoonotic agents, which are transmitted by the rodents are Hymenolepis nana, H. diminuta, Trichinella, Moniliformis, Capillaria hepatica, alveolar and monolocular hydatid cyst, Gongylonema, Toxoplasma, Giardia, Balantidium, cutaneous Leishmaniasis and Amebiasis (8). In spite of the presence of a large population of rodents in this area, there is scarce information and studies regarding the role of rodents in transporting parasitic infections in Ahwaz and its suburbs. Therefore, the current investigation was carried out to identify the internal parasites of the rodents, which live near human habitats. In total, 30 rodents were collected from different parts of Ahvaz district, south west of Iran during, from 2009 to 2010. The mice were trapped by rat live traps and were transferred to the parasitology centre of the medicine faculty, and anesthetized by the ether method. Different keys of Iranian rodent fauna were used to identify the trapped rodents (1, 9, 10). Three milliliters of blood was drawn directly from the hearts of rodents for making smear preparation to detect blood protozoans, and knot’s test for micro-filer infection. The internal organs including liver, lungs, gastrointestinal tract, muscles and brain were examined macroscopically for parasites. The Gastrointestinal tract was forced through a 100 µm mesh sieve to detect worms. Examination of rodent feces was performed by a conventional test (Direct and Merthiolate Iodine Formaldehyde (MIF) tests) for detection any ova or cysts. The muscles were digested by 2% pepsin and normal HCl method for tissue cyst of Sarcocystis infection. After digestion, the samples were centrifuged at 1500 rpm for five minutes. The brains were smashed and centrifuged and stained by Giemsa for detection of bradyzoite of Toxoplasma tissue cyst. In this study, three species of rodents were recognized including: four (13.4%) Mus musculus, 20 (66.6%) Rattus norvegicus and six (20 %) of Tatera indica. All of the trapped rodents were infected at least by one parasite. The rate of Cestodes infection was 63.3%, and the most common parasites in Cestoda was H. nana. In nematode infection, 46.6% of rodents were infected by nematodes, with Strongyloides ratti being the predominant species. The rate of infection with Protozoa and Acanthocephala was 53.3% and 3.3%, respectively. Details on these findings are shown in Tables 1 and 2. In the current study, three species of rare nematodes (order: Spirurida) were presented, which included Pterogodermatites spp. 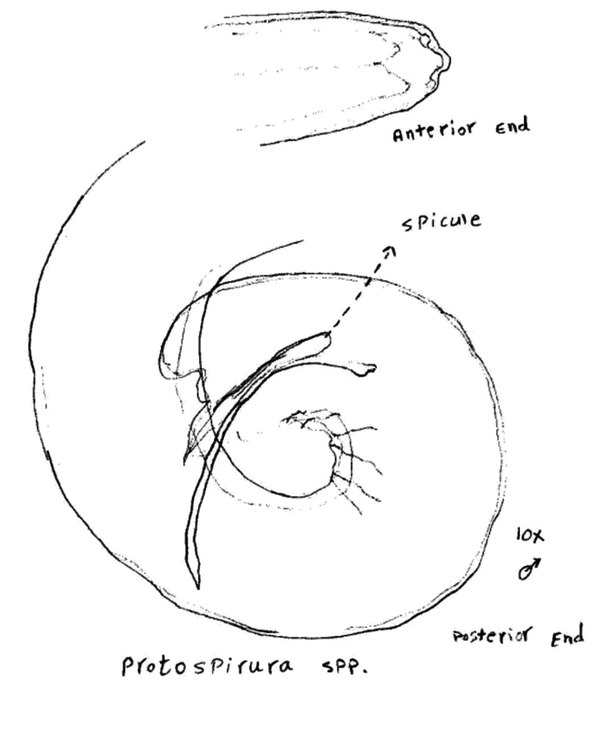 (Figure 1), Protospirura spp. (Figure 2) and Physaloptera spp. (Figure 3). None of the rodents showed neither Toxoplasma (in brain and muscle by smashing or digestion method) nor Trypanosoma (blood smear). The Knott test for identifying micro-filer was negative as well. In this study 30 rodents of three different species were identified that included: M. musculus, R. norvegicus and T. Indica. The rodents were dissected to determine their internal parasites. Studied rodents were infected by three species of Cestodes, eight species of nematodes, one species of Acanthocephala and four protozoan species. Living in and transportation between indoor and outdoor places is one reason for the presence of high internal parasitic infection among rodents. The load of parasitic infection in the current study was high due to their behavior in cleaning and lacing themselves, living close together and high contamination of their habitats. Cestodes and their larval stage infection were seen in this study. In R. norvegicus and T. indica, the predominant Cestode infection was that of H. nana with 50% and 83% prevalence, respectively. Three out of 20 R. norvegicus were infected by the larval stage of Taenia taeniaeformis, called Cysticercus fasciolaris in the liver. These rats were collected from a region with high population of dogs and cats, which are the final hosts for Taenia taeniaeformis. Hymenolepis nana is amongst important zoonotic parasites. The infection rate of H. nana is high in the human population especially in children in Iran and rodents play an important role as a reservoir host (7). The life cycle of the parasite consists of two hosts for rodents’ infection but in human the parasite can be transmitted by the direct route. Cestode infection in rodents has been reported by many investigators in Iran and around the world. Kia et al. reported that 12.5% of Rattus norvegicus were infected by H. nana in Ahvaz (7). Gholami et al. showed that 15% of rodents were infected by H. nana and 0.5% by Cysticercus fasciolaris in Sari, north of Iran (11). Rasti et al. found that 10.8% of mice were infected by H. nana in Kashan (4). The rate of H. nana infection in this study was significantly high compared to the other studies due to different species of rodents. The rate of H. nana infection in other parts of the world are as follows; 31.2% in Kuala Lumpur (5), 20% in Belgrad, and 12.58% in Serbia (6), Egypt (12) and Brazil (13). In the current study the larvae stage infection of T. taeniaeformis was seen in 15% of rodents and all infected rodents lived in Ghaleh Chenan, a region with a large population of dogs. Paramasvaran in Kuala Lumpur reported that 80% of rodents were infected by larval stage of T. taeniaeformis (5). The high prevalence infection of T. taeniaeformis can be related to close contact with infected dog hosts. Singla et al. reported that rodents were infected by C. fasciolaris in India (14). Gholami et al. showed that 5% of rodents in Sari (north of Iran) were infected with C. fasciolaris (11). The other reports included a rate of 2.3% in Serbia (6). The most predominant nematode infection belonged to Strongyloides ratti, which was seen in R. norvegicus species with a prevalence of 46.6%; this species lives in sewage water and dirty environments that can be infected by several parasitic eggs and cysts that pass through the gastrointestinal tract of the host. Strongyloides ratti infection rate was reported in a low percentage of rodents in a number of investigations (5, 7, 15). In this study, Pterygodermatites spp. (syn, Rictularia spp. ), ( Protospirura spp. (Figure 2) and Physaloptera spp. (Figure 3) were detected in R. norvegicus and Tatera indica mice. Nematodes infection in rodents was reported previously by authors around the world such as Lee et al. in Korea and Reperant in Switzerland (16, 17). Other studies reported that the prevalence of Pterygodermatites peromyscus in free mice was 12.3 to 36% according to season parameters. They found that the prevalence of infection was high in adults when compared to juveniles; 30.8% and 4.6%, respectively. Paramasvaran et al. in Kuala Lumpur detected Pterygodermatites, Mastrophorus and Physaloptera in 16.6%, 11.7% and 100% of rats, respectively (5). Mohamed et al. represented Protospirura in rodents from Egypt (18) and Montoliu showed Mastophorous and Gongylonema in wild rodents from Spain (19). Nematelahi showed the rate of Mastophorus muris infection was 21.28% in mice of Tabriz city, Iran (20). In this study, infection rate of Syphacia obvelata and Spicularis spp. was 16.6%. The other reports have shown a rate of 2.8% in Ahvaz (7), 3.5% in Sari (11) and 43.2% in Kashan (4). Infection with Angiostrongylus cantonensis was shown in rodents from Egypt and Thailand (12, 21). Moniliformis moniliformis (Acanthocephala) was also found in the current study. Only one rodent (Rattus norvegicus) from a domestic habitat was infected. This parasite needs to cockroach as an intermediate host for completing its life. Moniliformis moniliformis is a zoonotic parasite of public health concern (12, 14, 22, 23). Protozoa infection in this study included Giardia muris (13.3%) and Entamoeba spp. (20%) in the intestine and Sarcocystis spp. cyst in muscles (23.3%). Sarcocystis infection was also reported by Sinniah et al. in Malaysia (24). This finding is in agreement with other reports in Iran (4, 7). Trypanosoma and Toxoplasma protozoa were not seen in this study because of the sample smaller size in this study. The previous study showed 10% of rodents were infected with T. lewisi and T. evansi in Ahvaz city of Iran and India and Iraq (7, 14, 25). Further studies should be carried out in other parts of Iran by using a molecular technique for precise identification of parasite species. This study indicates that rodents especially those that live near human habitats, have a high risk for transmission of zoonotic parasite disease. Existence of abundant population of an intermediate host such as beetles and other arthropods in rodent environments causes high prevalence of infection in them as an important major source of infection for humans. Control of rodent population in cities should be done for decreasing transport risk of parasitic infection. This Research Project was financially supported by the Ahvaz Jundishapur University of Medical Sciences (grant No. U-88100).